Introducing myself in short, myself Manish Kumar , CSE 2017 Rank 61. I still work in Deutsche Bank (an investment bank in Mumbai) and prepared for the exam while continuing my job. Exactly a year back I was struggling with my prelims preparation just like you my dear brothers and sisters. A year back then (2016) I had a close call in the battle with prelims and lost out with a very narrow margin – owing to the high cutoff. In 2017 I had three back to back exams (CFA Level 3, RBI and UPSC) in 15 days and some smart studies along with the self-belief that I can do it (just like Sharma ji ka beta), along with God’s divine power, I could clear all three of them.It was one of the most exciting period of my entire life, wherein I read to clear exams and not to do PhD in anything- a very focused approach , but never took the stress. Hence I consider it my duty towards everyone to share my 2 cents of learning of the process. I hope you will feel more confident at the end of 3.5 minutes post reading it . What was my strategy and learning? More than seeing 10000 Qs, having confidence on 1000 Qs and remembering them will sail you through. This one realizes only after solving the 32 Tests properly in simulating condition. This is my only investment in monetary terms for UPSC and as I had promised to myself I will make sure I use it so diligently that it would lead me to a rank. At the end in the last 20 days, I also solved open mocks of Vision as well as some full tests, along with 60 day compilation of IAS BABA. These two materials were not an add on to insights but complimentary in the way I used. We need to create our own way.Learn from others and choose the best for yourself. I enrolled in the test series very late, but better late than never! I started giving tests when 14-15 tests had already passed. And my scores were 52, 49,61 in initial tests. It was not shocking . I accepted it with lot of humbleness. I realized the difficulties of these tests were little high but this is where I was placed. I needed to work hard, make sure I learn from the tests. My target used to be about 110 marks in each tests and finally in the last 5 I could get about 120+ in most of them. How I used was very interesting -> I used to solve and submit the paper fully irrespective of the fact I got 52 or 136. Post that I used to take the print out and read their detailed answers. The good thing about Insights test is they have NCERT based Qs. Plus many organizations you have not heard of. Plus a very very unconventional tests with altogether new Qs (something like UPSC). So what it did was it prepared me for whole set of unconventional questions and to figure out the ones which would be my strength, attack those to increase my marks and may be in the second round of solving, coming back to the left one to take calculated risks. Q solving is just a very small aspect of this journey. The most important was the analysis and understanding of the questions, post the marks. I used to spend a lot of time in reading the detailed answers, and making my own short notes based out of it on A4 papers. In such I used to learn about 10-15 new things from all test papers. Questions like m-stripe, e-Lisa asked this year in UPSC were in those notes. This was the most time taking part of this process, however it was the one that gave me the most confidence. I can say with lot of conviction, if one solves all Qs diligently and see all the answers properly (spend about 1 hour on each paper on analysis), it helps a lot. I also used to compare my performance with other people on insights website and knew I was just knocking the door of UPSC Prelims , making sure my performance remains in the avergae range atleast. Coming to the next pillar of the preparation is the static portion, which most people know the standard text books. 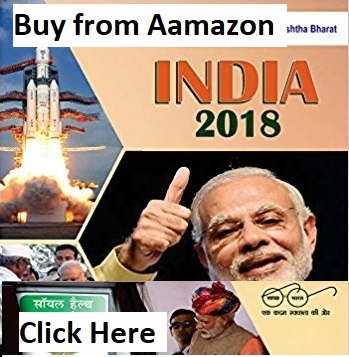 With limited time for my preparation, I found it difficult for me to read them and hence I read only one book (Manohar Pandey current affairs, Arihant) (my personal take) (Costs about INR 150). I read only Ancient history (Indus Valley Civilzation), India after independence, Bit of geography , complete polity, Bhakti and sufi saints and conceptual economics . I did not read S&T, medieval history, Indian geography (trades, capital cities) etc) as UPSC asks conceptual and not factual questions and these areas are out of flavor now a days. My suggestion is just very simple- which book you read never matters, what and how you read is the key. You need to have your own notes to revise at the end as you can’t revise the entire books at the end. Make sure you don’t read new things at the end from the books. It creates a fear that I don’t know many a things. This static portion can be supplemented with Vision IAS test series. They have topic wise test, so at the end rather than to revise the books, just revise your notes and solve the topic wise Qs from these tests, and note down the ones which are importannt and you were not able to answer. Please make sure you don’t do a lot of difficult Q (like in geography a lot of difficult Q on topography and others are there, they most likely will never be asked as it would give an edge to geo optional students). Simple conceptual questions can help you to quickly revise things. If these done properly can have a multiplier effect onn your marks. This was something I did explicitly last time in my preparation.I was able to solve more questions with lot of confidence. For ESand Budget, if you have time read them completely else solve Vision’s test based on that to get what Q can be asked from them. I also watched Study IQ small videos on these topics as these are critical. Choice is yours, goal is same-> not to get Qs wrong. 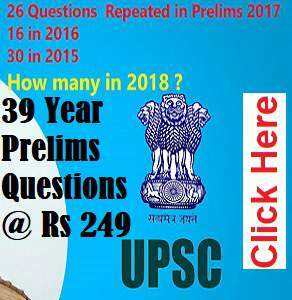 The fourth pillar is old question papers – UPSC from 2011-2017 . Q will be directly repeated as well a indirectly (whatever were in options might come as Qs). This is very very important. 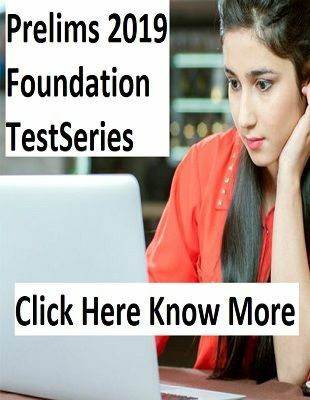 You will get 5 easy marks following thi method. Just a little catch. One should always see official answers of UPSC as sometimes they are different from coaching institutes. The other important thing in this is solving last 3 years papers – CDS| Medical | CAPF| IES| Steno and other exams conducted by UPSC . They have a habit of repeating their own questions which always happen (again read and google about all options as well)-> here you just need to see the current affairs Q of all these papers. What actually happens is UPSC might have a mega collection of Qs and they tend to allocate to different exams. So this way you can have some more base covered. This is luckily now catered by INSIGHTS prelims test as they now have many Qs from other UPSC conducted exams in their papers (they mention the source at bottom of every Q in detailed answers) and I was positively surprised seeing the smartness of Insights. The 5th Pillar for preparation is Current Affairs. I started with monthly magazine and made notes just from prelims perspective and anything in greater detail, I used to leave. For example Q like CHESS by NASA or SAMEEP by MEA can be asked this year, but no more depth. But in the end, even I switched to the PT Revision modules of both Insights and Vision. Both are equally good , though I used to like INSIGHTS style more in Pre and Vision for mains. I thoroughly spent a week on Insights PT modules to read and gain confidence and 2 days to revise. I never used to revise 4-5 times ( be it tests/ static/ current affairs) but I used to do at least once, so as whatever I had solved, read before, I should get at least that much right in real exam. Pre specific modules are really good and one should read these . Ultimately I also saw most of the Qs of IAS BABA 60 DAY pre compliation. It complimented what I had read, it was like ok I had read Insights thorughly, seen vision as well, so I should take IAS baba as real exam Qs and try to get maximum correct, and it worked for me. Ultimately my target was 2 correct for every 1 incorrect. And yes for Q which I did not know, I always carry a pen and A4 and noted it down. All these A4 were just glanced once before sleeping. Option elimiation , marking all correct in S&T Questions| Taking the best looking line in polity | and few more small tricks and more comprehensive reading helped me this year. But what is the one line what will summarize my journey this year ..I would say CARRYING THE MOMENTUM IN LAST 20 DAYS. Even I had three back to back exams and not many leaves from office, I carried the positive outlook in every exam and showed the faith on resources I had read, and not fell in trap of fear pyschosis. Chalo Chakde Friends ..jab tak todenge nahi tabtak chodenge nahi ! !